Just announced...don't miss this opportunity! 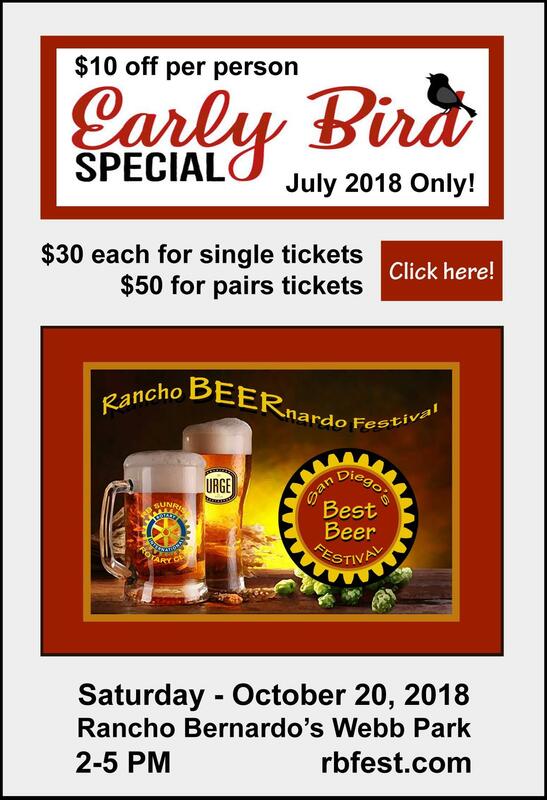 Early Bird Discount for the 2018 Rancho BEERnardo Festival! $10 off per person for tickets purchased during July 2018 only. Go to https://ranchobeernardofestival.com/buy-tickets/ for tickets!